Tristram Engelhardt, Jr., PhD, MD, one of the intellectual founders of the fields of bioethics and the philosophy of medicine, whose seminal work continues to frame debates about healthcare policy and medical practice, fell asleep in the Lord on June 21, 2018 in Houston, Texas. He was Professor of History and Philosophy of Medicine at Rice University and Professor Emeritus at Baylor College of Medicine. He died of complications due to cancer. He was 77 years old. Once described as the enfant terribleof bioethics, Professor Engelhardt challenged Western secular liberal moral and political assumptions which, he argued, could not be secured through reason alone, and frequently cause more harm than benefit. Bioethics and Secular Humanism(1991) together with the first and second editions of The Foundations of Bioethics(1986; 1996) examined why sound rational argument is unable to provide the foundations necessary to justify a content-full secular morality or bioethics, much less to secure a canonical political theory to guide healthcare policy. The foundations of secular bioethics and health care policy, he argued, are starkly libertarian. It is for this unflinching libertarianism that Engelhardt is best known. Yet, Engelhardt had long acknowledged that secular morality permits many activities he knew to be deeply sinful (e.g., abortion on demand, human embryonic stem cell research, euthanasia, and so forth) as well as imprudent (e.g., turning to a doctor of naturopathy for treatment of heart disease). Engelhardt completed this previously one-sided picture with the publication of The Foundations of Christian Bioethics(2000). Here, he presented a deeply serious account of Orthodox Christian bioethics. It is a bioethics set within a spiritual framework at one with the commitments, beliefs, and practices of the ancient, traditional Christian Church and framed in terms of our struggle to know God and to find salvation through Him. In his final book, After God: Morality & Bioethics in a Secular Age(2017), written while undergoing cancer treatment, Engelhardt worked to articulate the moral and epistemic implications of living in a culture that had come to reject God. It is an insightful, brilliant and serious work, written in the knowledge that time was limited. Always the Texian, Engelhardt stormed around the world in his boots, lecturing on the history of philosophy, history and philosophy of medicine, and bioethics. 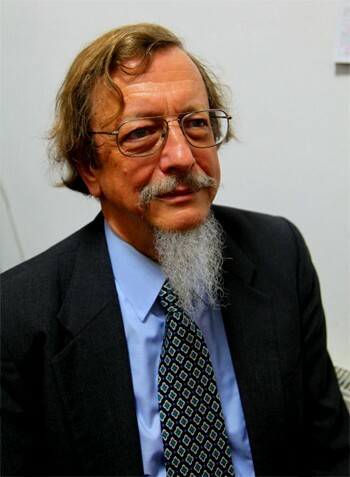 Along the way, in 1975, he co-founded the Philosophy and Medicine(1975) book series with Stuart Spicker (with at least 129 published volumes currently in print); in 1976, The Journal of Medicine and Philosophywith Edmund Pellegrino (now in its 43rd year of continuous publication); and in 1995, Christian Bioethics: Non-Ecumenical Studies in Medical Morality(now in its 24th year of continuous publication). Together these projects created an international scholarly focus to frame the intellectual fields of the philosophy of medicine and bioethics. In addition to six major books, he published more than 300 articles and book chapters, more than 110 book reviews and other publications, together with more than twenty-five edited or co-edited books. His work has been translated into numerous languages, including Chinese, German, Portuguese, Italian, Spanish, and Japanese. The impressive range and depth of his work in philosophy, medicine, bioethics, and theology illustrate his profound appreciation that careful and critical analytical work is central to reigning in the untutored desire to claim the current canons of political correctness as truth. Beyond his serious scholarly engagements, Engelhardt always worked tirelessly for his students, many of whom today are tenured professors in the United States, Hong Kong, and elsewhere in the world. He insisted on excellence, never accepted excuses, and taught them that sleep interfered with scholarly productivity and good mentoring. Long after we had finished our dissertations and become professors in our own right, Engelhardt insisted on helping us work through drafts of our articles and book chapters. We would see each other at conferences and argue long into the night on the most important issues of philosophy, theology, healthcare policy, and bioethics. Our work was always analytically more rigorous and theoretically richer for his insights. He was also a generous mentor to many scholars who had not studied formally with him. Many of these relationships, which often developed into real friendships, began when Professor Engelhardt challenged a speaker at a conference and then offered to continue the discussion over a drink. There are many people whose careers might never have been without his friendship. Indeed, Professor Engelhardt never ceased to aggressively pursue his duties to his students and friends. His intellect, energy, generosity, and wit will be sorely missed. This entry was posted in Featured Posts, In Memoriam and tagged Tristram Englehardt. Posted by Blog Editor. Bookmark the permalink.